Nike have revealed that Real Madrid superstar Cristiano Ronaldo is so insistent on ensuring that he does not wear black coloured football boots. 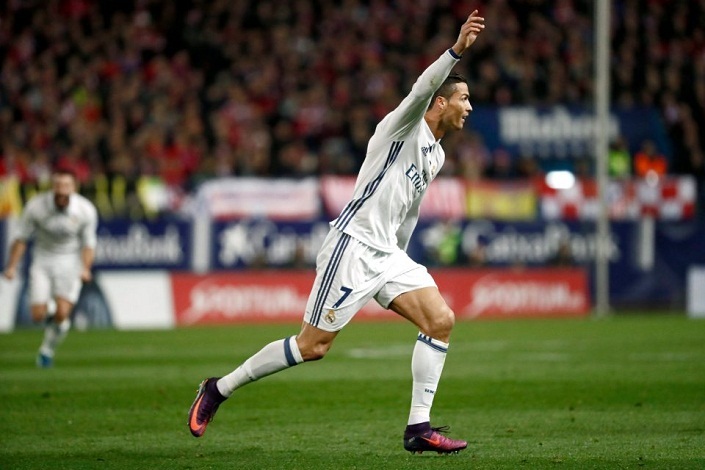 Regarded as one of the greatest players in the world, the 31-year-old recently won the fourth Ballon d’Or award of his career. Ronaldo managed to win the Champions League with Real Madrid in the summer and then went on to lift the Euro 2016 with Portugal. One of the secrets of his success has been his boots, which obviously play a major role in his career. As soon as the top players in the world, Ronaldo is given the opportunity to have a say in every major aspect of the boot development process. As of now, he wears the Mercurial Superfly and does so in colourful numbers. Yet, black seems to be the only colour missing from his football boot arsenal. Global vice-president for Nike Football Footwear,Max Blau, has revealed that the footballer is very focused on avoiding the black colour, as it reportedly slows him down at least on a mental level. Blau went on to reveal that every player has their own favourite boot colour. It has been scientifically proven that the use of favourite colours on the boot does enhance the performance of a player by activating some chemicals in their brains. “It all starts with him.I think he’s amazing, but he’s the first to say ‘I can improve’. He says he can get better and will do his part, but he needs us to do ours too.That puts a lot of pressure on us. We have to come up with something to help him.That’s how we came up with the new Mercurial Superfly [the boots Ronaldo currently wears]. Every player has their favourite colour, and it’s been scientifically proven that the colour of the boots activates chemicals in the player’s mind,” said Blau.